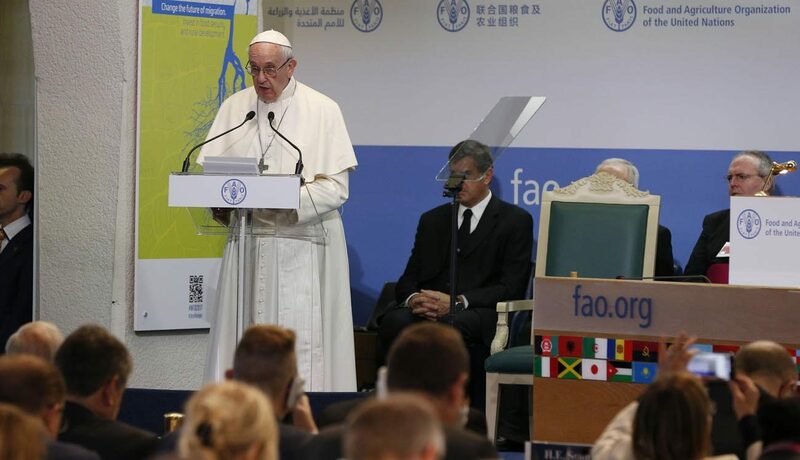 VATICAN CITY (CNS) — It makes no sense to lament the problems of hunger and forced migration if one is unwilling to address their root causes, which are conflict and climate change, Pope Francis said. As for climate change, he said, scientists know what needs to be done and the international instruments — like the Paris Agreement — are already available. International organizations, leaders and individuals need to act out of real love and mercy toward others — particularly the most vulnerable — in order to create a world based on true justice and solidarity.